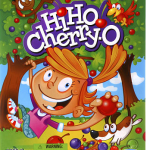 Hi-Ho Cherry O – Remember trying to get all those cute little cherries into your basket? 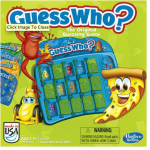 It turns out this game is an excellent tool to help your child learn to count. Recommended for children as young as three years old, your child does not need to know how to read is a great choice for all ages of kids in your family. 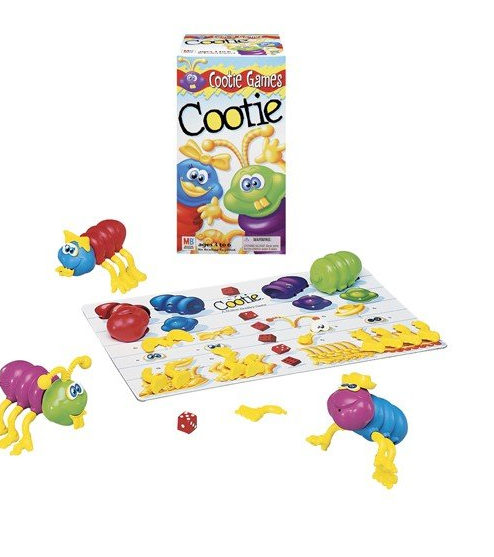 Cootie– This Hasbro game has been around for ages! The goal? 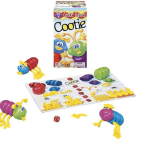 Be the first player to put together a bug, aka “cootie”. By arranging the bug parts, children become familiar with parts of the body, building vocabulary, working on fine motor skills and learning the fine art of taking turns. 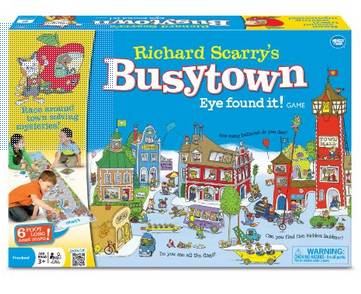 Richard Scarry’s Busy Town – Remember Lowly Worm? Join Lowly and his friends as they scurry around Busy Town looking for hidden objects and solving mysteries. 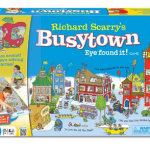 This game is based on the popular children’s book Busy Town by Richard Scarry and offers kids the opportunity to work as a team, basic preschool reading, counting and fun! 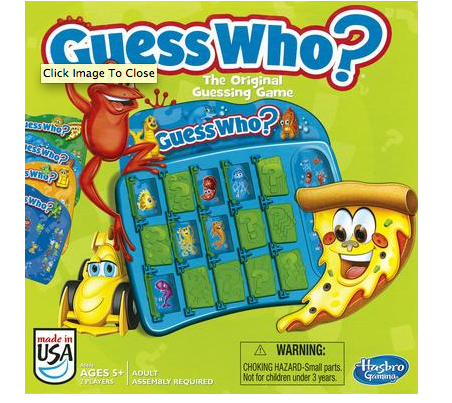 As a bonus, this game is a great confidence builder – watch your child’s face light up when he solves a mystery on his own! 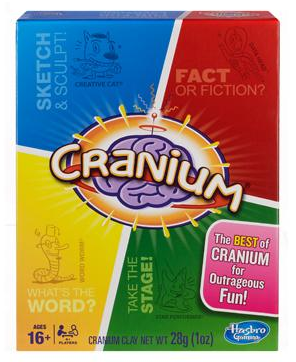 Cranium – This game is for the older children in your house, as it requires a bit more reading, counting and overall engagement. Kids are presented with options for solving questions using their sculpting skills, acting abilities, reading expertise or reasoning. 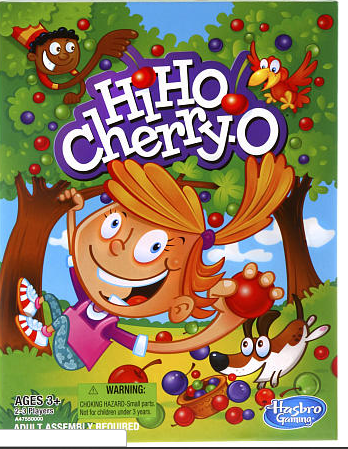 There are opportunities at every level of this game to perfect speech and language and even social skills. Just make sure that tub of clay that is included with the game makes it back into the box after you are finished! Ours is so popular, it’s always missing! Guess Who? 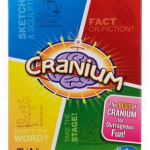 This is a classic board game that promotes proper grammar skills by having your kids ask questions. If your child has a hard time phrasing questions properly, have him model your example first. Guess Who? is designed for children ages 6+, but because it does not require reading skills, it is fun for younger children as well. What are you favorite? Let us know! What are you favorite? Let us know!